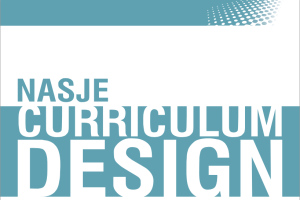 We are excited to announce the completion of NASJE’s newest curriculum design! The history of this effort began when NASJE undertook, with support from State Justice Institute (SJI), the task of developing a comprehensive set of curriculum designs to advance the profession of judicial branch education based on core competency areas. Soon after the project got underway it became apparent that not all topics would or could be covered—namely fairness, diversity, and access— based on the original core competency areas that had been identified. Upon completion of the first round of designs, the Diversity Committee (now Diversity, Fairness, and Access Committee) recommended to the NASJE Board that it undertake the development of a new design to address diversity, fairness, and access. A recommendation was approved by the Board and the Diversity, Fairness, and Access (DFA) Curriculum Workgroup was formed to develop the design. Early on the Workgroup decided to focus on a design for “Entry Level” and not the “Experienced Level.” The decision to create an entry level design was practical. Since knowledge of diversity-related topics varies greatly among the membership, we thought much would be gained by approaching the design at a level where most in the profession likely fell. The design is not intended to make judicial educators subject matter experts on race, bias, stereotypes and diversity, but help them to understand the importance of these areas/topics to the profession and delivery of education programs. NASJE’s Curriculum Committee (now the Education and Curriculum Committee) put in many hours to see this curriculum design realized. Check out this excellent resource for judicial branch educators! A hard copy of the DFA curriculum design will be sent to NASJE members in the Spring. Finally, the DFA Committee looks forward to formally presenting this new and exciting curriculum design to the membership in October during the Annual Meeting in Seattle.